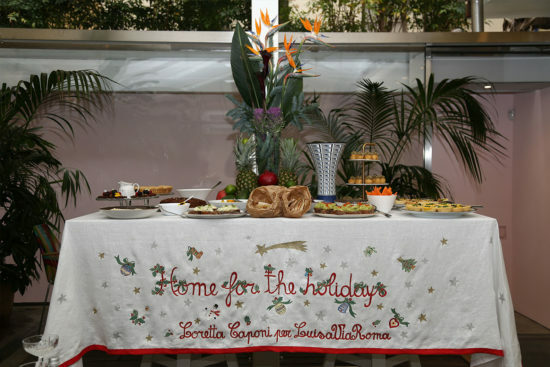 LuisaViaRoma turns the store in Florence into a house to celebrate the holidays with a project that pays homage to the Italian excellence of design and clothing. The exhibition is inspired by the themes of dream and surrealism and the renowned Italian architect, designer and photographer Carlo Mollino, reinterpreting the most intimate spaces of the house, in a path of rooms including the boudoir, where you can find two Sanremo lamps among the other objects, the bedroom and the studio of an eclectic collector. The result is an environment with a domestic flavor, rich in symbolic and cultural references, with a Christmas atmosphere.